Who invented the Release Check? This one has me stumped. If I had to guess it would be Mitch Cubberly, developer of the Cubco binding, one of the first truly releasable (and first Step-In) bindings. The ski release was invented by Gordon Lipe. I had one for decades and only threw it away last year when I moved to Stowe permanently. I see I should have kept it. Definitely Gordon Lipe. At Salomon we were in the thick of the ‘binding wars’ of the early 70’s; Gordon’s Release Check became a key tool in the over-the-top claims binding companies, including us, were making as bindings, amazingly, became the most hyped piece of equipment. I know I’m late on “Who invented the Release Check?”…… but I have a personal relationship to to recount about Gordon C “Tippy Lipe who was a contemporary of mine and a Neighborhood friend. Tip was a Born Engineer and though he had no formal engineering education he had as a resource his uncle who had the knowledge and the Resources including a complete Home machine shop. Tips Dad and Mother were killed in a boating accident in the St lawerence river in the early 1930’s, and he was raised from early childhood by his Aunt and Uncle. His Dad and Uncle were Industrialists and engineers and were owners of the Lipe -Rollway bearing company in Syracuse and developed transmission parts and items such as 4 wheel drive transfer cases,Transmissions etc, Tippy never finished High school to my knowledge, Though he attended Deerfield prep school he was a member of the class of 1947 at NOTTINGHAM High SCHOOL (my class ) but did not graduate to my knowledge. He was involved with Hot rod automobiles , motorcycles etc and had a shop featuring special California Hot Rod items as he built several fantastic cars. Tippy was also involved in Sports Car Racing and combined a Cooper Racer that Formerly was powered by a Motorcycle engine with a Custom envelope bodied Cooper powered by A porsche engine dubbed as a “Pooper” usually the fastest car on the old Watkins Glen Road course in Central NY. (Often DNF as I remember) I saw several of these races run on the Public streets thru the Village in the 1950’s, Another Pooper was raced in California by a guy, Pete Lovely. I don’t know of the relationship of Lovely and Lipe. In the summer of 2007 I attended a Porsche Show in Monterrey, Ca. and there I saw Lipes “Pooper” at that show . It was raced in a Vintage event. That’s all I Know! By the way he also invented the BURT ski binding . 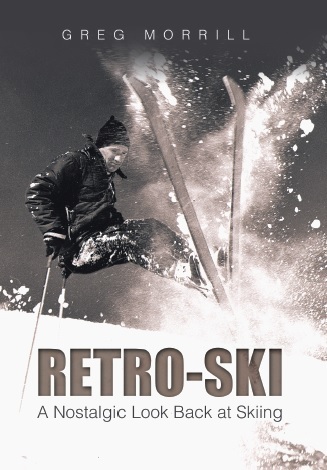 When it released it remained attached to the ski boot and ski and would return the ski to its pre release condition . It was the brake preventing loss of the ski as well as returning the ski to its “clicked IN ‘ position. Pretty slick !